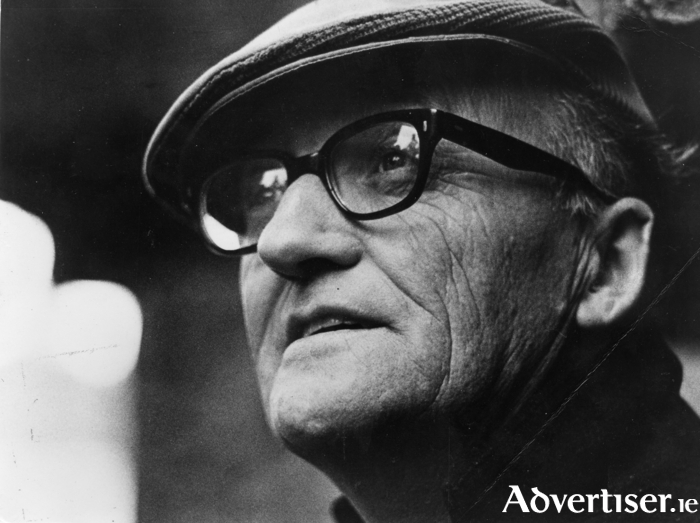 WALTER MACKEN, one of Galway’s most famous writers, was born 100 years ago this May, and An Taibhdhearc and Galway’s West End community will hold commemorative events. The first takes place this evening in An Taibhdhearc, Middle Street, where Tom Kenny will give an illustrated talk, Remembering Walter Macken. The talk is in association with the Galway City Museum. A street party on St Joseph’s Avenue, where Walter was born, takes place on Sunday May 3 from 3pm to 5pm. There will also be a series of lectures, readings, and films in An Taibhdhearc from Tuesday May 12 to Friday 15, to be given by Walter’s son, Ultan Macken, along with other guest lecturers. On Friday 15, An Taibhdhearc will host From Street To Stage, where the West End community will come into the theatre with the scenes from the street party, and a film documentary of that day will be shown. Admission is free for this event. The children’s film, Flight Of The Doves written by Walter Macken, will be shown for schools on Wednesday 13. Walter Macken was born in Galway on May 3 1915. He is best known for the novels Seek The Fair Land, The Silent People, and The Scorching Wind. For more information contact 091 - 562024 or email [email protected].